Within the heritage tourism industry, it is not uncommon to find attractions that make claims to having played host to one famous historical figure or another. 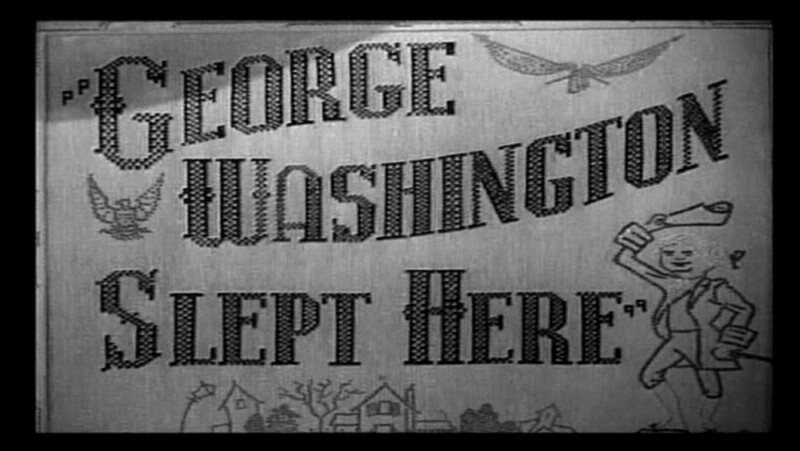 Dubious claims that “George Washington Slept Here” are perhaps the most common and, consequently, have become the subject of numerous running jokes. For the small town of Ashford, Connecticut, however, this claim is actually true. In 1789, George Washington embarked on what was the first of two long tours of the United States—eventually covering the young nation’s entire East Coast from modern-day Maine to Savannah, Georgia. While Washington offered numerous explanations for undertaking these ventures (including a desire to escape the burdens of office, to restore his health, and to view the famed battlefields of the American Revolution), his motivations appear largely political. Washington wanted to get a sense for how Americans felt about their new government. Afraid of inflaming local political rivalries by appearing to prefer to stay in one private home over another, Washington insisted on lodging in the public taverns and inns that catered to travelers of the time. Unfortunately for Washington, little reliable information existed about the quality of the accommodations at the different stops along his route. On Saturday, November 7, 1789, as Washington traveled from Boston to Hartford, he stopped in Pomfret, Connecticut, to inquire about the residence of Revolutionary War veteran, Israel Putnam. Concluding that a trip to see his old comrade involved a significant time commitment, one that would throw his tour off schedule, Washington continued on another 8 miles before stopping in Ashford for the night and the Sabbath the next day. All along his route, Washington met with enthusiastic receptions from local leaders and militia companies, but in Ashford, the timing of his visit resulted in little fanfare. The Sabbath etiquette of the time did not permit any pomp or elaborate ceremonies, and after attending church, Washington spent the majority of the day in peace. After his stay at the Perkins Tavern in Ashford, Washington commented in his personal journal on the accommodations. Washington had hoped for something a little less rudimentary than what he found in Ashford—and at many other taverns along his route. The hospitality industry in New England during this time was still in its infancy and road-weary travelers often found it difficult to find accommodations of any consistent quality. Despite the brief and relatively uneventful nature of Washington’s stay, however, Ashford remains one of a select number of towns able to make legitimate claims to hosting the country’s first president on one of the hallmark tours of his career. Baker, William Spohn. Washington After the Revolution, MDCCLXXXIV-MDCCXCIX. Philadelphia, PA: J.B. Lippincott Company, 1898. Link.